My go-to vodka drink. It's perfect for a cocktail party, dinner party, or for when pregaming with friends. Add fruity or herbal simple syrup to enhance the flavor; or keep it traditional with lime! Cheers to the weekend! 1. In a small pot, add all ingridients - liquid, (sprig), and sugar. 2. Stir the juice and sugar, and cook for about 10 minutes until the sugar has dissolved and the liquid becomes thicker. 1. In a large pitcher, add ice, vodka, ginger beer, and lime juice. 2. Mix; add desired simple syrup, mix well. 3. 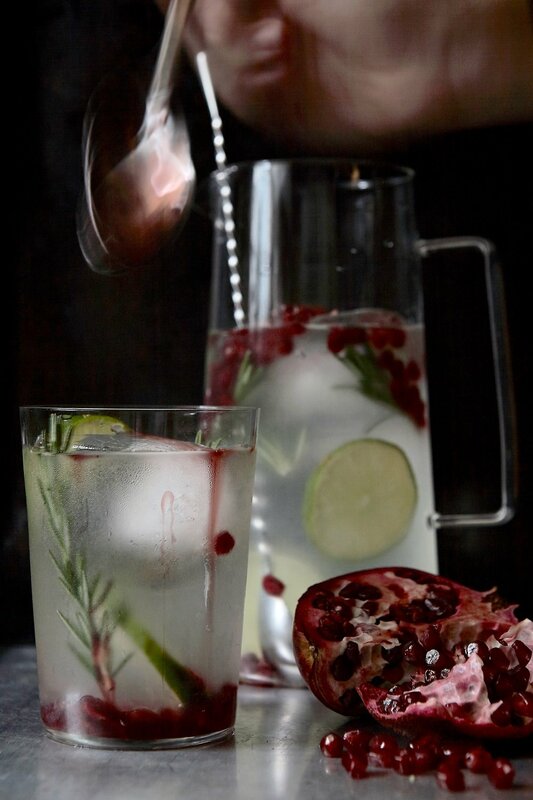 Pour Moscow mule into individual cocktail glasses, and garnish with either a tbsp of pomegranate seeds or rosemary sprig, and lime wedge.